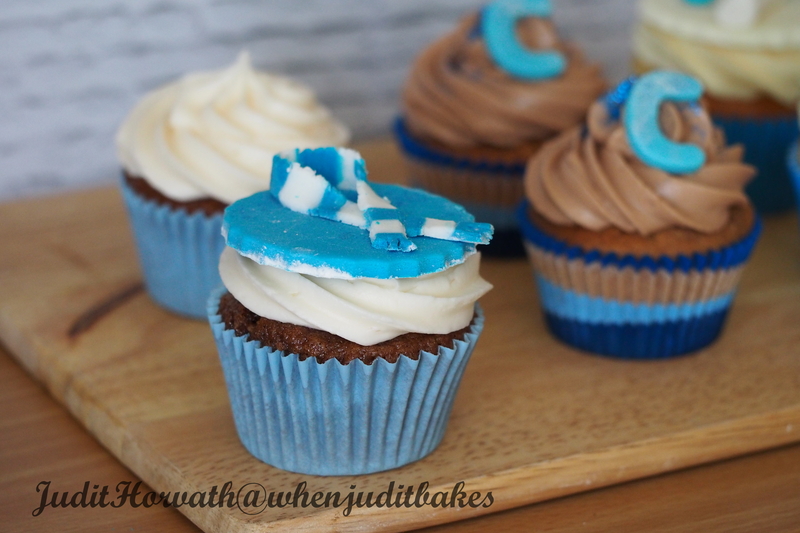 Birthday Guy’s Selection: Champagne Chocolate Cupcakes for a Tottenham Fan | When Judit bakes...bread and better..
Why do men love football so much? 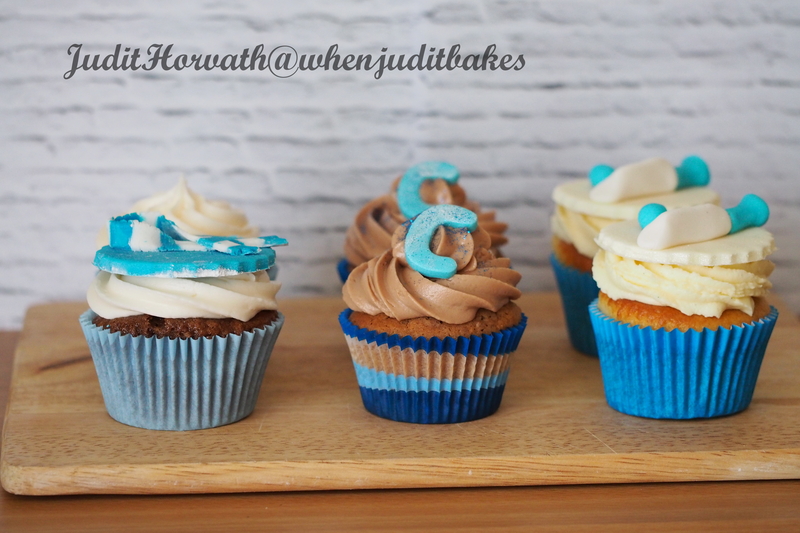 Why do men love cupcakes so much? This question is significantly easier to answer: because cupcakes taste divine and men are…Oink! Oink! Preheat oven to 350 degrees. Line two 12-hole cupcake pans with the liners of choice. Sift the flour, sugar, cocoa powder, baking soda, baking powder and salt together in a large bowl. Set aside. Add the eggs, vanilla, oil and milk and beat until well combined on the medium speed of an electric mixer. Add champagne. Beat on low until completely combined. Next, using a wooden spoon, stir the boiling water into the batter. 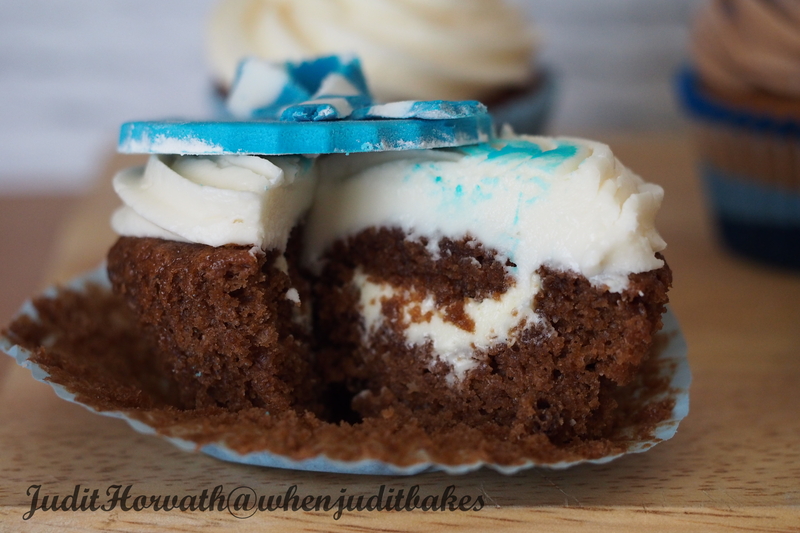 Carefully fill each cupcake liner with the batter, just under the 3/4 of case per cupcake. Bake for 20 minutes or until a tooth pick inserted into the centre comes out clean. 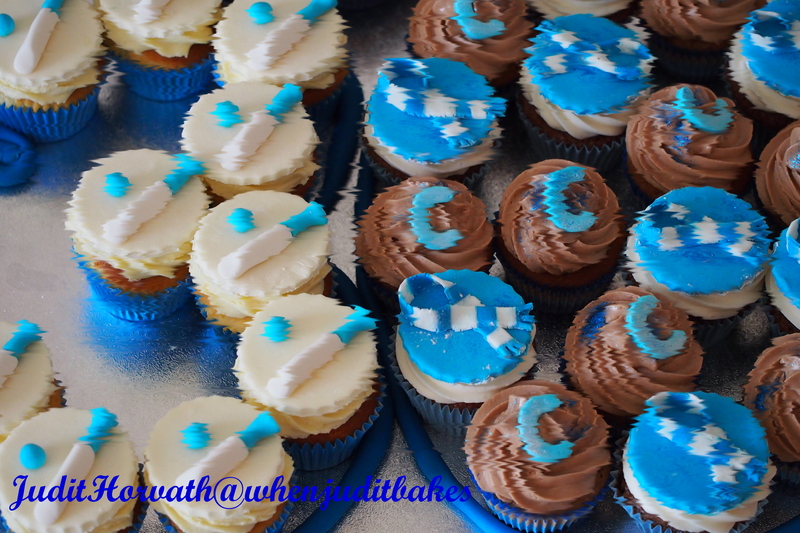 Once cooled, before frosting, cut the top of cupcake, fill with Chantilly cream and place top back on. For the frosting cream together the sugar, butter. Beat in the vanilla. Beat in each tablespoon of champagne, one at the time. This entry was posted in Baked treats, Baking powder, Cakes, Cupcakes, Decoration of bakes, Just Everything, Sweet Bakes and tagged champagne champagne, dark cocoa, teaspoon vanilla, white granulated sugar. Bookmark the permalink.